You’re sharing great content, nailing your captions and hashtags, and now you’re thinking it’s time to level up with an Instagram promotion. You really couldn’t pick a better platform to market your business on. Of the 1 billion Instagram accounts worldwide that are active every single month, a massive 80% follow at least one business. What sets Instagram apart from other social platforms is its ability to tap into people’s passions—and wallets. The platform’s natural focus on storytelling through beautiful photography and video allows businesses to present their latest products and services in a way that feels more authentic and accessible than a glossy magazine ad. The bottom line? For businesses that don’t have the cash to splash on expensive advertising, Instagram promotions provide a more cost-effective way to connect directly with your audience. In this guide, we’ll explore everything you need to know about running your first Instagram promotion, from setting goals and defining your audience to choosing a type of campaign and promoting it. What is an Instagram promotion? There’s no secret button you need to push or marketing feature in Instagram you haven’t discovered yet. Basically, an Instagram promotion is any kind of promotion… run on Instagram. It’s really that simple! Breaking it down, it’s any kind of marketing campaign or strategy designed to generate sales, attract and collect leads, increase brand awareness, or achieve some other kind of marketing goal for a business, big or small. The key thing is that you’re sharing amazing and creative content with your followers, delivering content that resonates with your target audience, and maybe even using a branded hashtag for your Instagram promotion in the process. Contest alert! Earlier today, we launched the #PupilsProject Collection, a limited-edition assortment of glasses and sunglasses designed in collaboration with 10 super creative New Yorkers. 100% of every purchase will support #PupilsProject, our program that helps schoolchildren in need get free glasses. To help spread the word, we’re celebrating with a contest: post a childhood photo of yourself (like these ones of our collaborators!) and tag #PupilsProject and @warbyparker for a chance to win a pair of frames from the collection, along with a limited-edition @publicschoolnyc t-shirt! . . . . . No purchase necessary. 50 U.S./DC, 18+. Enter by 10/11/18 at 11:59 P.M. ET. See official rules at warby.me/2Oaa63mfor details. Void where prohibited. You’ve no doubt come across Instagram promotions during your scrolling travels, so you probably have a vague idea of how to get started. But before you dive in, it’s important to take a step back and put together a plan. Having a plan will ensure you have a clear idea of what it is you want to achieve with your Instagram promotion, but also how you will go about making your campaign a success. First things first: your promotion needs a goal. In order to run a successful campaign, you need to be able to define what success is, and this means having a super clear goal in mind so you know what you’re working towards. You probably know why you want to run a promotion. Maybe you’re planning to launch a new product, you want to build your email list, or simply raise brand awareness. But you also want to link your reason for running a promotion to clear Key Performance Indicators (KPIs) so you know when you’ve achieved your campaign goal. For example, if your general goal is to build your email list, how many emails do you want to collect? Or if your goal is raising brand awareness, how many new followers do you want? Writing down these numbers will ensure you have a clear and defined goal in mind when it comes time to measure the success of your promotion later. Knowing who you want to reach as part of your promotion is crucial as it will influence what kind of content you create and share. So think about who you want to target. Maybe it’s your general Instagram following, a specific portion of your following, or people who don’t already follow you. Now, it’s important to point out that you shouldn’t automatically assume that you understand your audience. Just because your regular content clicks with your followers doesn’t mean that your promotion will resonate with them too. So dig in and do a little research into what kinds of content your target audience likes and engages with. The best way to get into your target audience’s head is with a little bit of Instagram stalking. The easiest way to do this is to use the platform’s “suggested” feature. Find a follower you think typifies your target audience and click on the suggested tab in their profile to find other Instagram users like them. Do some clicking around to discover what kinds of content they like and bingo! You should have a good idea of what they like and what you could create that they would engage with. Instagram promotions come in all shapes and sizes, from simple 24-hour giveaways to week-long awareness campaigns, complete with branded hashtags. But when you break it down, there are four general types of Instagram promotion: contests and giveaways, influencer campaigns, user-generated content campaigns, and brand awareness campaigns. The type of promotion you choose will influence your budget and timeline, so think about your goal and which type of promotion will best suit what you’re trying to achieve. 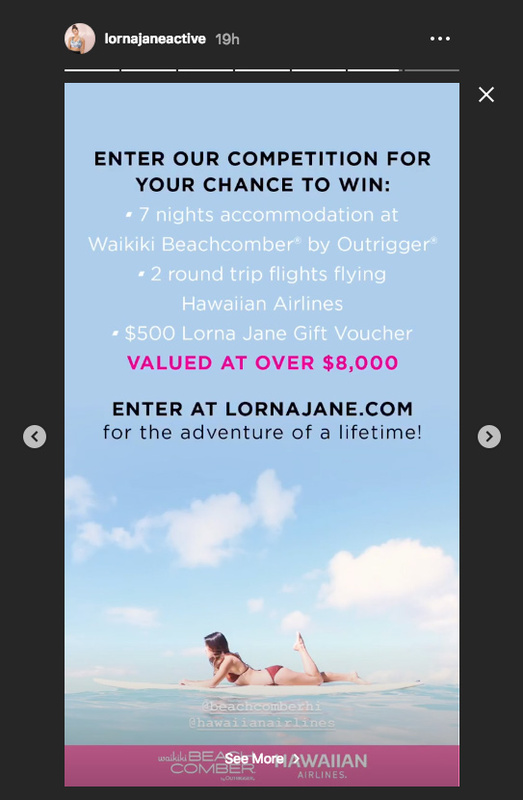 Contests and giveaways are one of the easiest ways to promote your business and raise brand awareness on Instagram, which is why they’re so popular. One of the most popular ways businesses run this type of promotion is by asking followers to tag a friend in the comments for a chance to win a product, like a new bag or maybe even makeup products. The idea here is that existing followers will tag friends who haven’t heard about the business, thereby increasing reach. 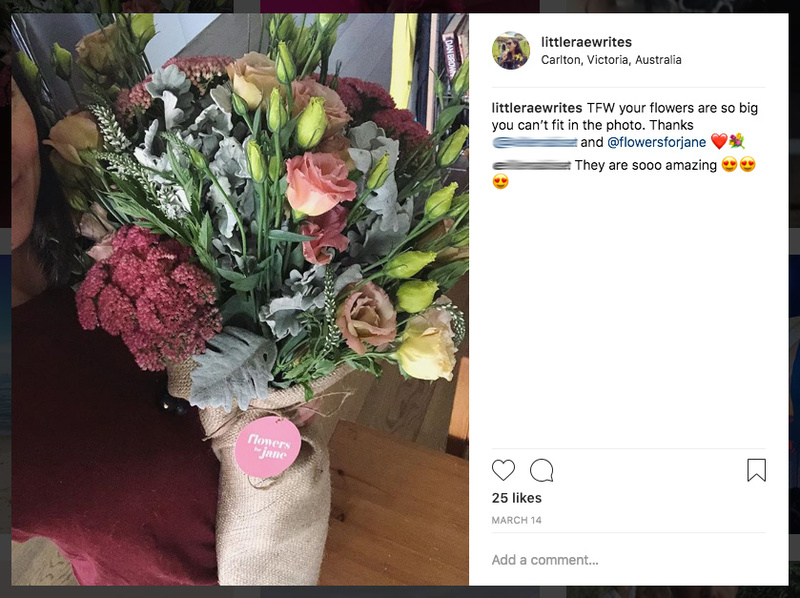 For example, earlier this year a friend tagged me in a 24-hour giveaway for a flower delivery service. The contest’s rules asked that we both follow the account for automatic entry to win a bunch of freshly cut flowers. Later that day, I found out I’d won! A variation of this is when businesses partner with other businesses and ask followers to follow both accounts for a chance to win a prize. This tactic enables each business to tap into the other’s audience for mutual gain. If you choose to run a contest or giveaway, make sure you choose a prize that gets your followers excited—you want them to really want to win! Also, create clear rules so there’s no confusion about how to enter or when the winner will be drawn and announced. Influencer marketing is huge on Instagram. It’s one of the fastest growing categories in advertising with brands spending over $1 billion per year just on Instagram. What’s more, this figure is projected to hit $5-10 billion by 2020. Just to backtrack a bit, an influencer is someone on social media who has established credibility in a specific niche. Their posts are typically lifestyle orientated and revolve around a particular passion or niche, be it tech, travel, beauty, business or anything in between. The important thing you need to know is they use their influence to persuade others by virtue of their authenticity and reach. What’s interesting about influencers is that they’re usually regular, everyday people who have built a large and highly engaged following due in large part to their original and genuine content. While celebrities will always have their place as the OG influencers, social media influencers have also taken on a celebrity status—albeit in a much smaller and more focused way—amongst their loyal followings. Word of mouth is hands down the best form of advertising. So when an influencer shares your product with their followers, they’re putting your brand in front of a trusting and enthusiastic audience who will be curious about your product and want to find out more. Now, you don’t need to spend big bucks to run an influencer campaign. Rather than reinvent the wheel, check out my post How to Use Social Media Influencers to Get an Advantage Over Your Competitors for a more comprehensive rundown of influencer marketing and how to get started with your first campaign. User-generated content campaigns are a great way to generate interest in your brand. Not only can these types of Instagram promotions get followers engaged and excited about your business, but followers create your promotional content for you. Winning! Basically, a UGC promotion involves asking your followers to share their own photos or videos on Instagram and then tagging it with a hashtag that you’ve shared. A great example of a brand that nails UGC campaigns is GoPro. The company’s product lends itself to UGC, which GoPro fully takes advantage of. To promote its HERO7 Black, the company has been running a UGC promotion asking followers to submit their best raw video clips shot exclusively on HERO7 Black for a chance to win a cut of a million dollars. The first step in running your own UGC promotion on Instagram is to decide what you want to promote. It might be a new product, a charitable cause, or even an upcoming event for your business. Whatever it may be, it must be something your followers want to engage with and they must feel comfortable sharing images or videos they create with their own audiences. I mean, asking users to share UGC based on an acne product would be an epic fail. With this in mind, make sure your UGC promotion asks for fun content that is easy for your followers to create. And don’t forget to set out clear guidelines, give your followers a reason to take part with an awesome prize, and set a deadline so users know how long they’ve got to get their entries in. Lastly, there are straightforward brand awareness campaigns. These can be as simple or as elaborate as you want. A simple brand awareness campaign might run for 24 hours, while a more involved promotion might run over several days, and share several branded photos and videos. What both promotions have in common is that they use a branded hashtag. These kinds of Instagram promotions are ideal for businesses that want to raise brand awareness or promote a particular cause. These kinds of campaigns are inexpensive to run as you’re not offering prizes. But you will still need to create great content that resonates with your followers and reflects your brand in the best possible way. How long your Instagram promotion goes for will depend on what you’re promoting and what type of campaign you run. For example, if you’re running a contest or giveaway, you’ll want to limit it to 1-3 days. But if your promotion is tied to an event like a product launch, holiday, festival, Black Friday sale, or even a conference, you’ll have set timeframes to work with. For contests and giveaways, it’s a good idea to set strict guidelines since you don’t want people to keep entering for days on end. For other types of Instagram promotions, a week is generally long enough since you want to keep followers excited and engaged without getting bored. Do you plan to offer a prize? Are you planning to work with an influencer? Will you be boosting your post? How will you create your content? Do you need to hire a designer, photographer and/or videographer? Instagram promotions can be as cheap or as expensive as you want—it all depends on whether you’re able to create your own content, how you plan to promote your campaign, and how much you’re willing to spend. Make sure you set a realistic budget and stick to it. While you might have big ideas for the content you want to share, developing it might be outside your budget. Knowing your target audience and what they like and engage with will help you create content for your Instagram promotion that will stop them in their tracks and convince them to read your caption. Your content doesn’t have to be too different from what you usually share, though you might want to put in some extra effort for your promotion. For example, you might usually create and share photos but for your promotion, you might want to put together a fun video instead. If your budget allows it, consider hiring a photographer or videographer to help you develop your promotional content. Having a pro on board to help you out will give your promotion a special edge. For UGC campaigns which naturally lend themselves to content, be sure to set clear guidelines for your followers so they know what kinds of content you’re looking for and what will help them win your promotion. You want as many people as possible to see your Instagram promotion and there are lots of free and paid ways to do this. As far as free methods go, it’s always a good idea to create a branded hashtag to go with your promotion. Not only will it signal to your followers that you’re running a promotion, but it will neatly tie your content together. You also want to use existing hashtags relevant to your audience to draw in new followers. Also, make full use of Instagram Stories, Instagram Stories Highlights, and IGTV. These features give you new outlets to share your content and reach followers who might prefer viewing videos rather than regular posts. If you want to put money into advertising your promotion, Instagram offers five ad formats: photos, videos, carousels, canvas Story ads, and Story ads. Each of these formats offers a different and dynamic way to reach your followers. You can also incorporate call-to-actions to further drive interest in your promotion and push followers to your website or landing page. Another way to promote your campaign is by working with influencers. As I mentioned above, influencer campaigns can help you to connect with new followers in a more authentic way since the influencer will be promoting your business as a trusted brand. Like any marketing campaign, it’s crucial that you track metrics and analytics so you know whether your Instagram promotion was a success (or a flop!). So revisit your goals and KPIs and put in place tracking to help you measure the effectiveness of your promotion. If the goal for your promotion is to boost your email list, track how many emails you collect. The easiest way to do this is by creating a landing page where you can collect information like names and emails. It’s also a good idea to add Google UTM parameters to the links you share as part of your campaign. This will allow you to track clicks and determine where traffic to particular pages on your website or landing page has come from. It will also allow you to measure your promotion in Google Analytics. Finally, there’s Instagram Insights, which lets you track impressions, reach, interactions, clicks, and profile visits. What’s particularly useful is the ability to see how many impressions on a certain post are from accounts that don’t follow you (pictured above), which is handy if you’re running a promotion with the goal of boosting brand awareness. No matter what kind of business you run, Instagram promotions can help you elevate your brand and quickly boost your following on one of the fastest growing social media platforms in the world. Really, it’s a no-brainer since the platform is, essentially, free! This guide should give you a solid grounding so you can run an organized and effective campaign that makes the most of Instagram’s many features. With great content and some extra effort to engage with followers in the comments of your posts, your promotion will be set for success. The post The Ultimate Guide to Running Your First Instagram Promotion appeared first on Revive Social.